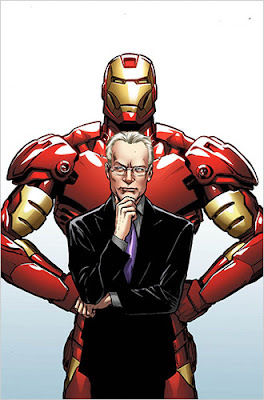 [BB-Blog]: Tim Gunn, Marvel action hero? Tim Gunn, Marvel action hero? Oh, hell - I need to pick this up. I heard about it earlier, but they never mentioned TIM GUNN. [...] But what would the angels be without someone to guide them? Enter Tim Gunn of “Project Runway.” In the debut issue’s second story, Mr. Gunn becomes an action figure — jumping into Iron Man’s suit of armor to save a fashion exhibition from evildoers.